You have a great event and no one knows about it? Reach out to all your potential attendees. Right here, right now. Ads on Facebook, Google and Instagram to reach your target audience. We design. We manage. We optimze. 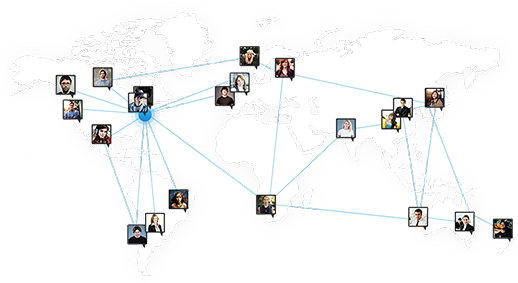 Track your Event Campaign in real-time. Visits, Ticket Sales, Social Media Reports & more. Select a city & Promote. Be the top result for all the searches in your city. Reach out to the largest subscriber base of the most passionate event explorers. Top of the page Visibility. Sorry, this event can not be promoted. An effective campaign requires at least 7 days to show good results. Special offer - Get a full refund when your event sells 25 or more tickets. Special offer - Get a full refund when your event sells 85 or more tickets. Special offer - Get a full refund when your event sells 250 or more tickets. We have received your response. 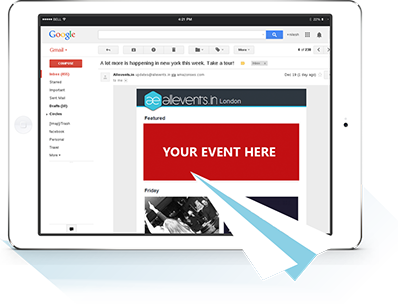 You will soon recieve an email from your account manager at allevents.in to schedule a discussion regarding your event's promotion. Please select valid target city. Google released a new update to help find local events more easily. 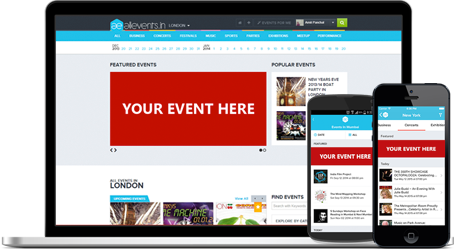 Displaying event results from widely used websites including allevents.in. Stay on top of all the events in all the cities you target through different promotion plans. Additionally, your event is also displayed on all the other event pages of your selected cities. Event explorers never want to miss any events happening near them and prefer our mobile app to keep a track of events wherever they are. Your event gets highlighted in mobile app too for better visibility. Email still rules for reaching out to people. Millions of event explorers are updated on the upcoming events via our weekly newsletters. Your event invitations are put forward till it ends. Creating ad campaigns, designing graphics is a lot of hassle. Our Social Media experts design and run your event's ad on Facebook, Instagram and Google AdWords and optimize it for maximum ROI. What is the campaign duration? We will start all the promotional and ad campaigns once we receive the payment. The campaign duration will be until the end date of your event or until 30 days whichever comes earlier. You can extend the duration again by promoting it with a respective plan. Can we select cities other than default offered with the plans? Each plan includes cities within a specific radius, so in case you want to add cities outside the range, click on the 'Promote Now' button from any of the 3 plans which will open a dialogue box from where you can click on 'Add more cities' to add the cities of your choice. Do we have control over Ad Targeting & Ad Graphics? Yes. Our account manager will get in touch with you and take your inputs on Targeting and Graphics and also share the results of each campaign. Also, the graphics will be shared with you before running the ad and you can suggest the changes. Do we get reports of the campaigns? You can download our Event Manager App to track the performance of your campaign and for the Facebook/Google Ads, our account manager will share weekly reports with you every Monday. How can we promote our events nationwide/worldwide? Please email us your upcoming event details to bizdev@allevents.in and our representative will contact you to help you out for your event promotions nationwide/worldwide. Can we sell tickets through this platform? Yes, we provide simple & quick Ticketing Solution. Ticketing amount is directly transferred to your PayPal account. For Indian organizers, we transfer the total amount to your bank account, after the event. There are no setup/processing fees. Is there someone I can talk to? You can talk to us right from this page by clicking on Chat from the bottom right corner or you can drop a mail at bizdev@allevents.in. We will get back to you the earliest possible. Only alphabates and space is allowed in name. Please enter address without special characters and braces. Please enter valid GST Number.